Please call boat owner Robert at 985-804-seven five two five. Boat is located in Orange Beach Alabama. 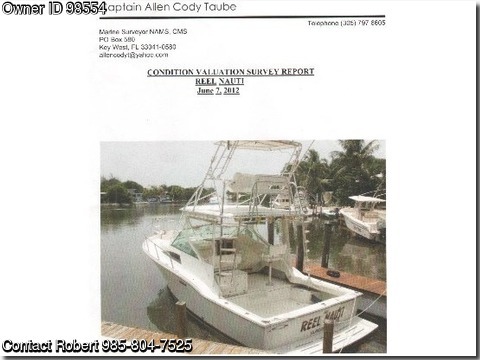 1991 Northcoast express fisherman w/marlin tower, Great sea boat,twin Cat 3208T’s,Zf Clutch/Transmissions, Next Gen Generator-dripless shaft logs- interior- see photos–call for copy of last survey.